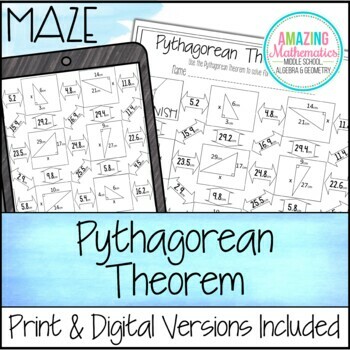 This self-checking maze has 11 problems involving the Pythagorean Theorem. Students will be required to use the Pythagorean Theorem to solve for the missing leg or hypotenuse of right triangles. •	Not all boxes are used in the maze to prevent students from just guessing the correct route. 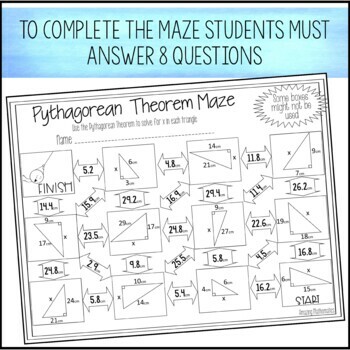 In order to complete the maze students will have to use Pythagorean Theorem 8 times. 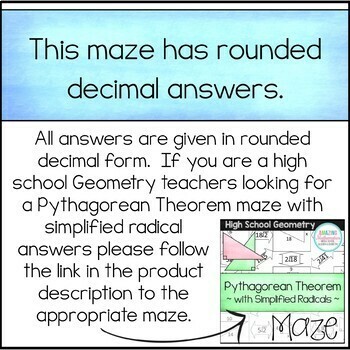 •	Is this the same maze/route/problems as your Simplified Radicals version, just with different answer forms? - No, this is a completely new maze with new problems and a new route through the maze. 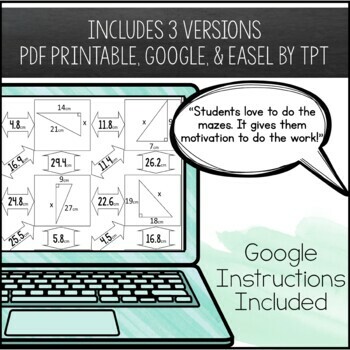 Right Triangles & Trigonometry Activity Bundle.